little city farmhouse: Taking Care of Your Paint Brushes! Taking Care of Your Paint Brushes! One of my first recommendations to anybody that wants to paint their furniture is to invest in a good paint brush. 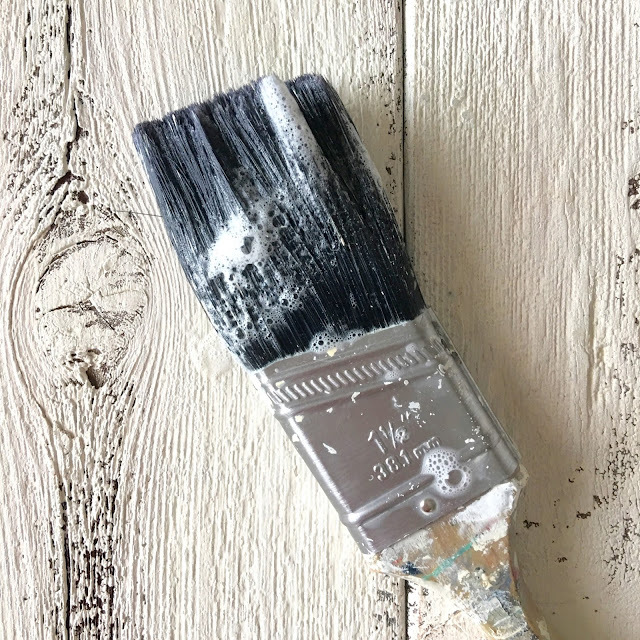 A good quality paint brush will last you for years, especially if you take care of it! A good paintbrush will run you anywhere from $15 and up depending on what you are looking for. 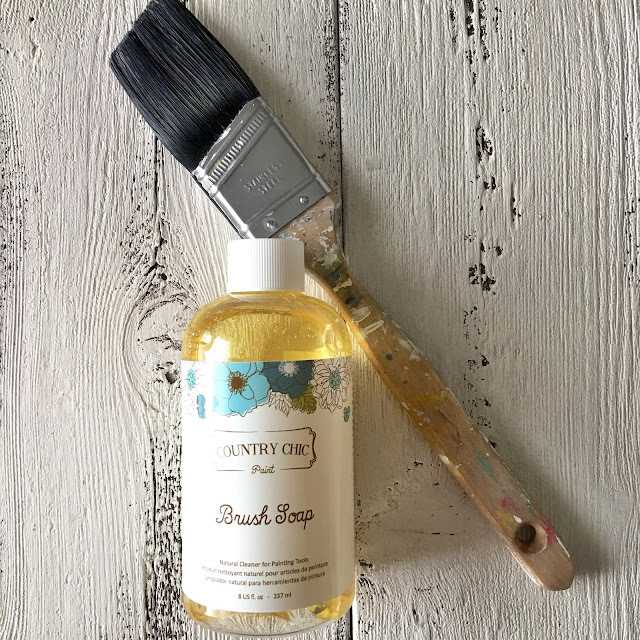 I always give my paint brushes a good cleaning after every use, so when Country Chic asked me to try their new brush soap I have to admit I was a bit apprehensive. An old dried up unusable brush? Because I tend to be OCD about cleaning my brushes, I don't have any that are unusable! Because I completely trust in Country Chic's products, I decided to put the brush soap to the ultimate test. I dipped one of my favourite paint brushes in a can of paint and then let it dry for a week on my paint table. My favourite paintbrush was hard as a rock! I gave my brush a good rinse in hot water, added brush soap, and worked the bristles in a circular motion in the palm of my hand until it was nice and sudsy. The hard paint softened almost instantly! I kept rinsing and soaping my brush until it was clean. In total I used less than 2 tablespoons of soap. In about five minutes my brush looked as good as new! I have used several different brush soaps on the market and this is by far my favourite. You may have tried puck style soaps before - I always find they leave a filmy residue on my brushes. That reside can transfer to your project when painting and can ultimately ruin your finish. Country Chic's Brush Soap cleans and conditions your brush but leaves no residue. The light scent of peppermint essential oil in the soap is lovely! 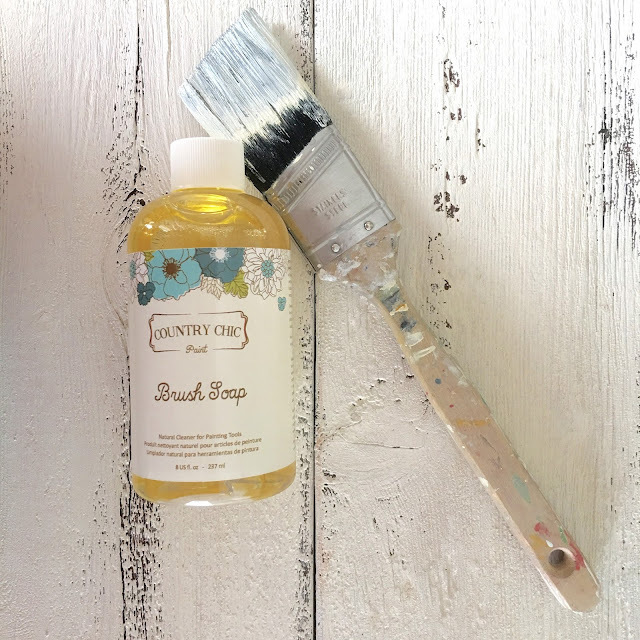 If you are ordering paint or a brush from County Chic, I highly recommend adding the Brush Soap to your cart! It's not expensive and will help you keep your paint brush investments in top condition for years to come! I'm Cait - wife, mom, creator. Refinishing furniture is the heart of my shop. 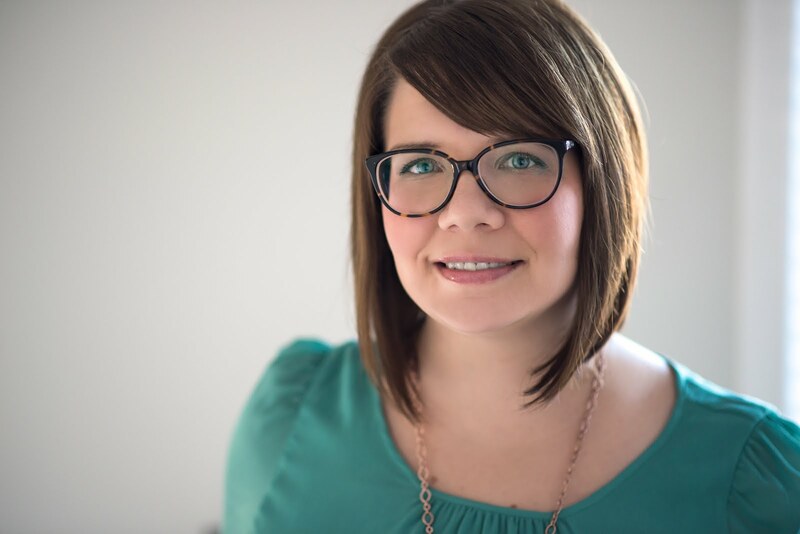 I believe your home should be a reflection of who you and your family are and what you love. Follow along to bring farmhouse style to your home! Visit our sister shop! Beautiful wool felt ball garlands and mobiles that are the perfect finishing touch to your home!